Fulton County Superior Court Judge Bensonetta Tipton Lane ruled the 33-year-old vocalist will have primary custody of four-year-old Usher Raymond V and three-year-old Naviyd Ely Raymond. Cherrise Boone, spokeswoman for the court clerk's office, said Usher and his ex-wife Tameka Foster Raymond will have joint legal custody. His custody will take effect on September 1. The type of visitation has not been determined yet for Tameka Raymond. Usher, whose real name is Usher Raymond IV, married Tameka Raymond in 2007. They divorced two years later. He said the couple had been separated since July 2008 and claimed there was "no reasonable hope of reconciliation" and the marriage was "irretrievably broken". In May, Usher testified that Tameka Raymond spit at and tried to fight with his girlfriend during one visit and that his ex-wife hit him during the dispute. He said he did not press charges because: "I didn't want the boys to know that their father put their mother in jail," he said. 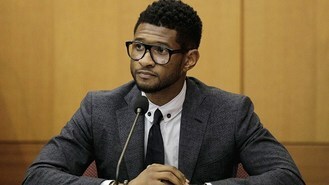 Tameka Raymond's lawyer claimed that Usher provoked her client and that his account is exaggerated. The custody decision comes after Tameka Raymond's 11-year-old son Kile Glover died last month after he was critically injured in a boating accident. The boy was run over on July 6 by a personal watercraft on Lake Lanier north east of Atlanta, according to the Georgia Department of Natural Resources.